For the first time in a long time today I made cookies. I’ve been trying to change the way I eat and having cookies around is a big temptation! 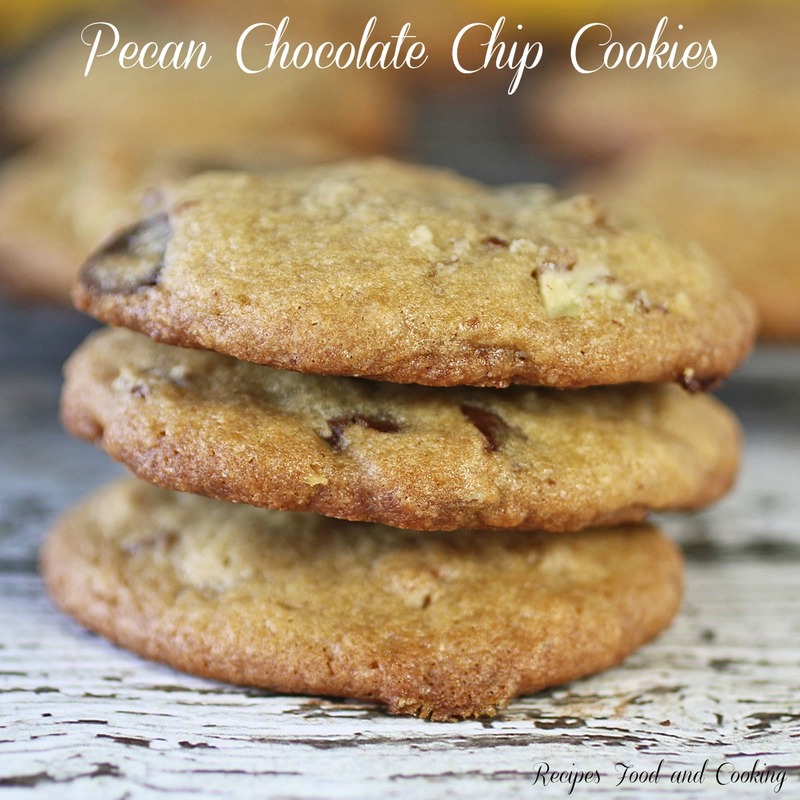 The great thing about this recipe besides how good they taste is that it only makes 15 large cookies. Yep, they were all gone before bedtime. 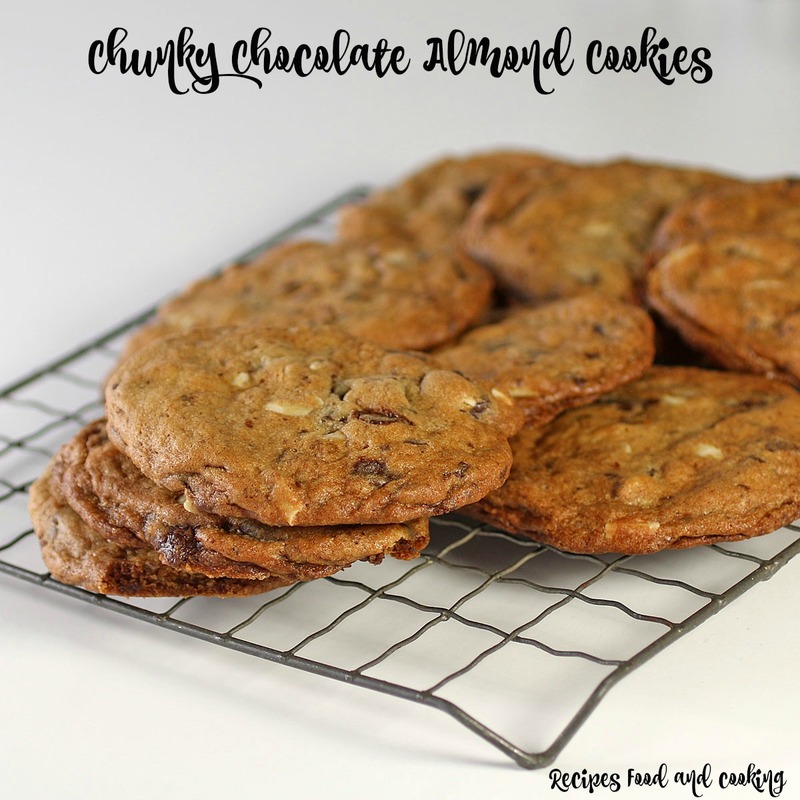 I used Ghirardelli Bittersweet Chocolate Bars to make these cookies. Loved all of the great chocolate flavor they gave these cookies. 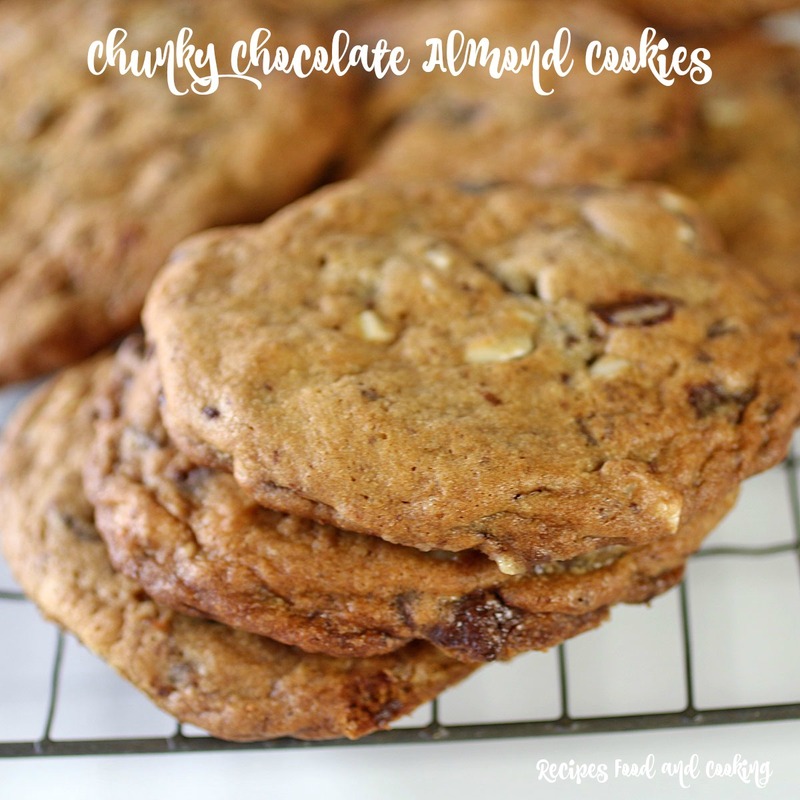 Toasted the almonds before adding them to the cookie dough will also add another layer of goodness! 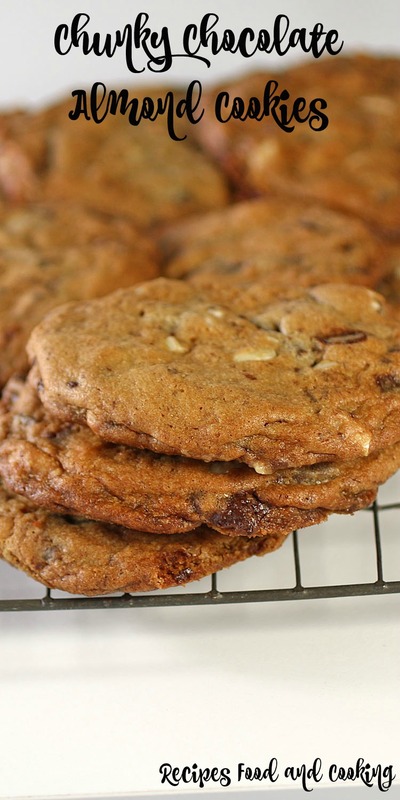 Big tasty cookies loaded with bittersweet chocolate and almonds! Cream together the butter, sugars and vanilla. Add the flour, baking soda and salt. Mix well. Chop up the chocolate into big chunks. Add to the mixing bowl. Grease a cookie sheet or use parchment paper. 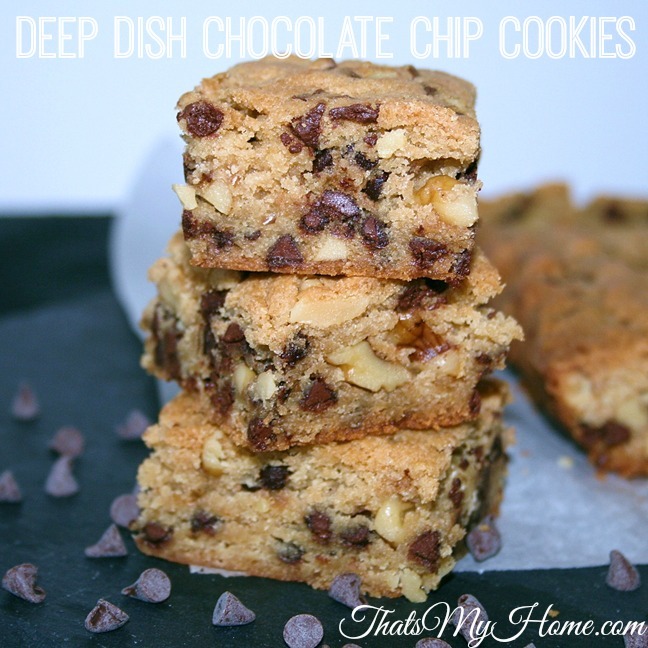 Place a 1/4 cup of the dough on the pan for each cookie. Press the dough down to about 1/3 of an inch. Bake for 10 -12 minutes. Remove cookies to a wire rack to cool. 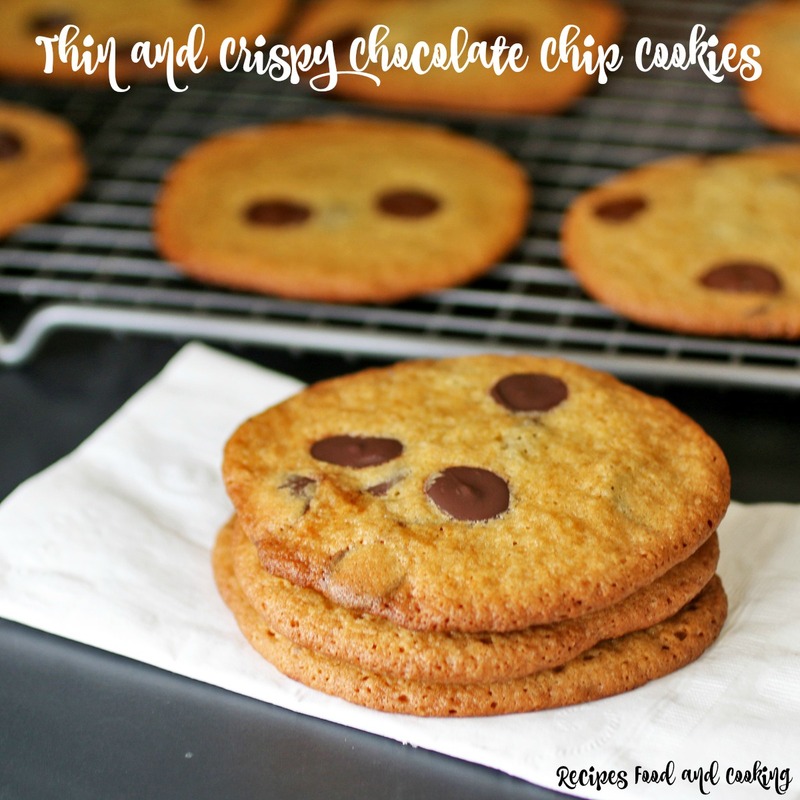 Maybe you’d like to try another of our chocolate chip cookie recipes?